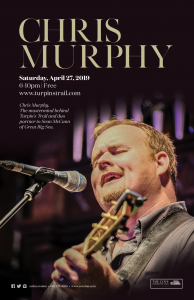 Chris has been the frontman of local favs, Turpin’s Trail which is a Kingston-based Celtic/Folk quintet consisting of Brian Flynn, Steve Kennedy, Jon McLurg, Chris Murphy and Noah St. Amand. 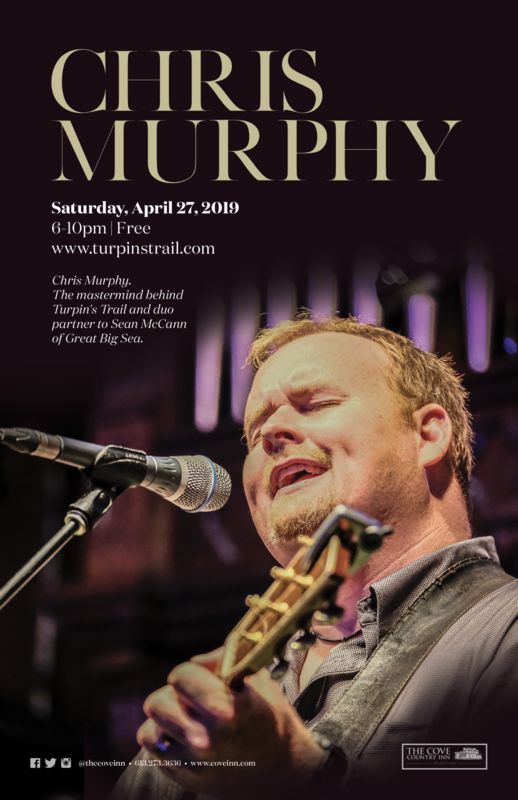 With a closet-full of over a dozen instruments and a wealth of great original & traditional songs and tunes, Chris and Turpin’s Trail bring together five of Kingston’s most accomplished musicians. 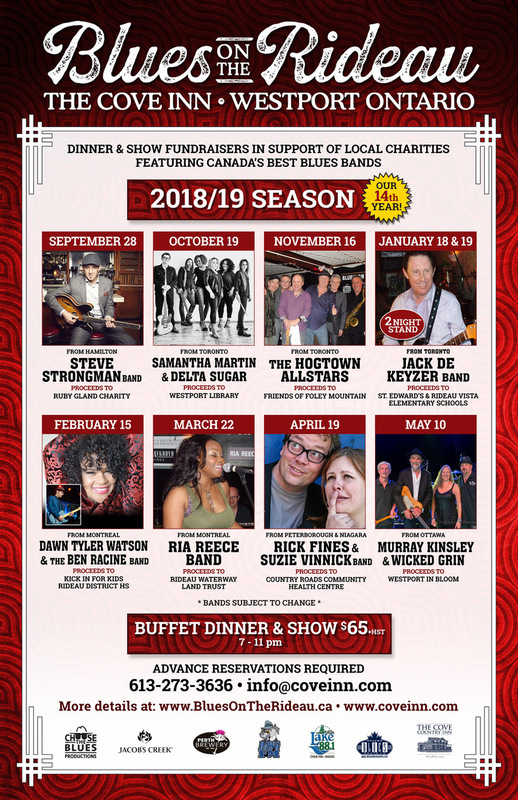 Individually, the members of Turpin’s Trail have shared the stage with the likes of David Francey, Sarah Harmer, Ron Hynes, J.P. Cormier, Fred Eaglesmith, Leahy, and the Masterless Men. 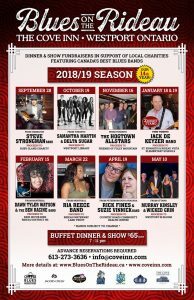 Turpin’s Trail has played such great venues as the Thousand Islands Playhouse in Gananoque and Kingston’s K-Rock Centre, and embarked on multiple tours of Atlantic Canada as far east as Newfoundland. His sense of rhythm, tradition and performance are top notch. We always love it when he returns to The Cove! This just in: Chris is now playing in a duo with former co-frontman and guitarist/songwriter Sean McCann of the beloved East Coast sensation GREAT BIG SEA! You will see him here soon with him so keep an eye out!